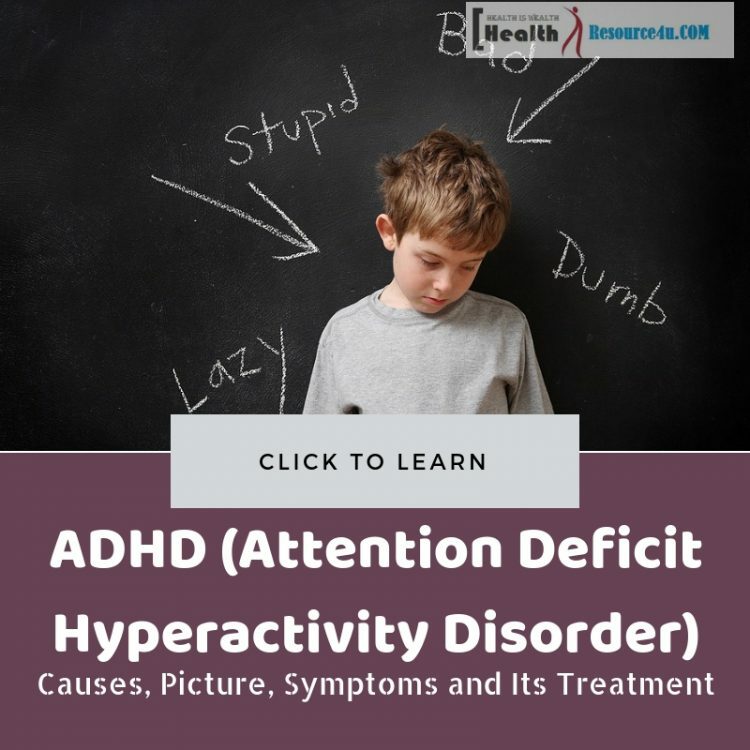 Attention Deficit Hyperactivity Disorder or ADHD is one type of mental disorder that affects the normal lifestyle as the patients become forgetful, unorganized and unconfident. However, the treatment of ADHD disease can ensure the normal living of its patient. ADHD is the most common among children and teenager group as its symptoms start developing in the very early stages of life. Still, there is no lack of adult patient of this mental health concern who finds difficulty in organizing things, making correct planning, remain forgetful for their belongings and tasks, unconfident which often troubles to their relationship. Children who remain affected by ADHD finds difficulty in their school and home life. As this mental disorder affects the overall life of its patient so it needed immediate medical treatment in which parents can play an active role as they can clearly notice the changes in the behavior and different aspect of their kids. ADHD is a complex form of mental or neurodevelopmental disorder which affects school, professional and personal lives of children and as well as adults who are the victim of this mental disease. A person suffering from this kind of mental disease finds it very difficult to manage and plan different aspects of their life because they often remain forgetful, unfocused, distracted, unorganized and unconfident. This disease is primarily associated with children, but adults are also a victim of it. In simple term, it can be said as the brain’s impairment of self-management capability that makes them different from other normal people and puts them in a special category. ADHD is the breakdown of different networks of the brain with respect to their connectivity, communication which remains immature even with passes of time. Symptoms of ADHD vary from person to person and sometimes it is very difficult to recognize. As per the doctors, its symptoms are developed in childhood and teenage time only which remains to continue till adulthood if not treated in its early stages of childhood. As per its symptoms, it is primarily categorized into two divisions the first one is a very common one known as Inattentiveness and the second one is known as Hyperactivity or Impulsiveness. One person may remain affected by both the divisions and also may remain affected with only one category. So, based on that below we have enlisted its symptoms among children and adults. 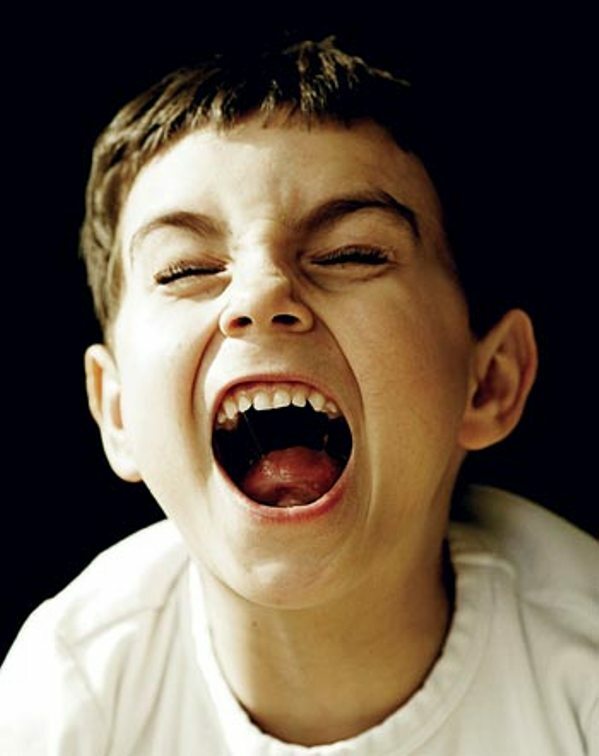 The signs or symptoms of ADHD can be noticed by the age of six only. When recurrence occurs in forgetfulness and other primary symptoms it simply indicates that it is not a normal mental condition and needed medical attention. Cannot concentrate on things and their work. They are quite forgetful resulting in loses their belongings quite easily. Find difficulty in organizing school home-work or tasks. Do not follow the right steps for finishing their tasks. Ignore the tasks which needed to sit still at the same place for a long time. They forget about their normal daily activities and routine. Often makes very trifling and careless mistakes. They stay inattentive in the classroom. Find disinterest in tasks which needed concentration and time. They find difficulty in understanding and following the instructions. Switch to new tasks and activities very faster. Find very difficult to play silently. Very often screams bounces and fidgets while sitting. Don’t stay inactive for a long time. Always remain in rush or on the go. Stay restless by indulging in activities like running, climbing, moving etc. Often interrupt others when someone is speaking due to their patients less nature. Don’t wait for their turn as they have trouble in waiting. Make noises even in the quiet and calm surroundings. Often act without prior thinking. They have very little or almost no sensibility for danger. Both the categories symptoms of ADHD make the affected children and teens to a different state than the other children. This badly affects their academic achievements and their social, family and friend’s interaction and behavior. Also, it makes them indiscipline and disobeyed. Symptoms of ADHD changes when its patient gets an adult but many of the childhood days symptoms persist as it is. Also, these signs vary from person to person depending upon their family background, social circle, and environment. Forgetful behavior in their personal and official life. They are incapable of handling to the small stress of their life. Have an extreme level of impatience. Frequent mood swings and irritation. Unusual risk-taking nature which can be a safety concern for them as well as for the others. Like driving without having good knowledge in it etc. Cannot wait for their turn and interrupt others in the mid of the conversation or blurts. Frequently loses and misplace things. Unable in focusing or concentrating on tasks. Cannot stay quiet for a long time. Do not finish an old task and set in for the new one. Find trouble in focusing on priority things. A doctor will take the different test of a person who develops symptoms of ADHD before stating its treatment as because a single test is not sufficient to come to any conclusion. They will notice your changes in behavior towards the different situation and incidents and after considering all they start the treatment accordingly. Generally, following treatment measures are taken by doctors for treating ADHD. Stimulant medication is always been the first choice by doctors for relieving the symptoms of ADHD and the reason is very much clear. These medications always bring very positive and effective results when combined with other therapy and ADHD treatment procedures. Especially for children when it is difficult to apply therapy and other measures for treating ADHD, stimulant medication works like a miracle. It enables them to live a normal life like other children by curing all reasons and concerns of ADHD from the root. These doses are specially prepared considering the different mental aspects and issues of the patients and hence it is very effective. It helps to bring confidence, and bring a reduction in forgetfulness, impatience, anxiety, restlessness etc. As per the USA’s central psychiatry division, medication is the most prominent way of treating children affected by ADHD especially for school going children. Adults are treated with stimulant medication combining with the behavior therapies and other measures. After medication, behavior therapy is considered the most effective treatment procedure for relieving the symptoms of ADHD. In fact, for some specific symptoms medication alone cannot do anything and the intervention of behavior therapy is the must. This therapy has solved many critical cases of ADHD for both children and adults. In this treatment process cooperation of parents and teachers is necessary who can better clarify about the behavior, activities, and reactions of the patient and changes in behavior after the application of therapy. This doesn’t mean it requires an especial premise for processing it, house and school of children are enough to proceed with it. The children affected by this mental disorder make a rigid mindset and behave and proceed accordingly. It is the negative thoughts that overwhelm their mind and hinders their success and achievements in all respect of life. 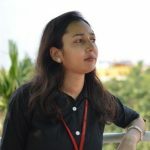 Children remain fearful for taking a new risk as they have limited their thoughts to their fixed internal beliefs such as “I cannot be successful”, “I cannot accomplish a task”, “I am unlucky” “My future is dark” and so on. All these negative thoughts cause their anxiety, restlessness, lack of confidence, impatience and other primary symptoms of ADHD. A popular behavior therapy is known as Cognitive Behavioral Therapy which is a popular psychiatry therapy that concentrates on removing the negative thoughts from the patient’s mind. It is also known as short-term goal-based therapy which aims at changing the way and pattern of thinking of patient about themselves, regarding their capability, future plan etc. This therapy process treats the mood disorder by understanding the brain’s cognitive process. It understands and recognizes the special behavior of children towards different scenarios and incidents of day to day life. It tries to remove all the negative thoughts from the mind which pull out the children for taking a risk, making a plan or organizing a task, remembering the incidents and other productive and positive activities. As per the behavior of the patient throughout a day it prepares a pattern to recognize what are the factors, time and incidents that affecting or causing changes in their mood and behavior. On the basis of this pattern, therapy is given to reduce the mood swing and anxiety. Cogmed and Neurofeedback is two popular form of brain training therapies which works very effectively in increasing the memory power and attentiveness without the intervention of medications. The ADHD mental disease patient’s biggest concern is their forgetfulness which depicts to their weak memory power. In this therapy working memory’s capability is increased resulting children can remember and keep the things in mind for a long time and be capable to manipulate their thinking and can make a decision by analyzing things. So, it helps to improve the concentration level and impulse control two vital symptoms of ADHD. Also, this brain training enables an individual to pay attention to speech or some task, removes distraction, management of their emotions and social interaction by boosting the working memory capacity. Through the brain training techniques brain attentiveness is increases and impulsivity is decreased to a great extent. Hence it removes brain issues like distractibility, mood swing, and impulsivity. Exercise is one the of the best treatment procedure for a patient with ADHD mental health problem which works as a natural stimulant for important brain chemicals needed for a healthy brain. A regular exercise practice, in the long run, reduces and removes the necessity of stimulant medications. Also, it increases the effectiveness of these medications as it works as a complimentary in treating such condition. Exercise is beneficial for both children as well as adults suffering from ADHD. An exercise practice before 30 minutes of school helps to increase attentiveness, firmness, confidence etc. Our brain is consisting of different chemicals that regulate all primary functions of our body. When you properly exercise the vital chemicals are released by it such as Endorphins, Serotonin, Dopamine, and Norepinephrine. A routine physical exercise works amazingly in improving your memory, mood, attentiveness, reduces forgetfulness, impulsiveness in kids and increases focus on the task and build up organizing capability. As per the psychiatrists, children and adults who suffer from ADHD have the deficiency of important brain chemicals and that is why they don’t behave like normal people and remain indifferent. Exercise plays a major role in fulfilling this deficiency. Foods play a most vital role in our health status. It can be directly correlated with the good as well as the bad health of a person. 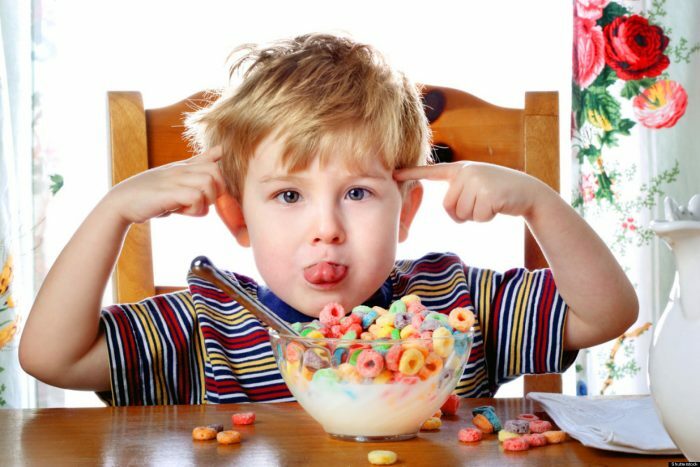 It’s not that a bad nutrition or food contains the cause of ADHD a complex mental health condition but yes, it is seen by many of the parents and adults that changing their food quality in their daily lifestyle have relieved their symptoms of ADHD to a great extent. It is the weakness of the brain that causes anxiety, mood swing, inattentiveness, and other mental drawbacks. This scarcity of your brain you can well stimulate by eating healthy nutrient dense foods and reducing or avoiding the consumption of highly processed foods and other preservative foods that contain chemicals, artificial flavor, and color. In this regard, parents can play a vital role in changing the food content of their children so that they can improve their academic performance as well as their social behavior and interaction. It is suggested to all adults and children suffering from this disease to eat whole grain foods, green vegetables, fruits, proteins, complex carbohydrates and unprocessed foods for increasing the effectiveness of ADHD medications and for earliest recovery. There are many people who don’t like to eat all essential and nutrient dense foods especially children who have an especial preference regarding foods. In the lack of vital nutrient, you cannot expect your brain to function appropriately. However, this scarcity you can fulfill by including nutrient supplements in your everyday routine. A healthy body itself produces nutrients that are essential for living and proper functioning, but this is not possible every time to get everything naturally. So, you can include supplements in your food intake to stimulate your brain function and its efficiency to a great extent. Some of these supplements include Omega 3, Zinc, Vitamin C, Magnesium, Melatonin, Ginseng, Ginkgo, Iron etc. This healthy supplementary intake works very effectively in relieving the symptoms of ADHD in both children and adults. ADHD is a complex form of mental disorder that not only affects its patient, but it also affects the life of patient’s family and their wellbeing as it is really hard to see our loving one suffering from such kind of traumas. So, it’s quite essential to start the treatment of ADHD disease without making delay at the earliest possible time. Filed Under: Diseases & Conditions Tagged With: ADHD, attention deficit hyperactivity disorder, What is ADHD?